Designed by internationally-acclaimed photographer and educator Kevin Kubota, the LunaGrip is a one-of-a-kind speedlite handle that allows for instant and portable speedlite modification. The LunaGrip pairs virtually any speedlite with standard reflectors or diffusion discs on a single, lightweight handle. 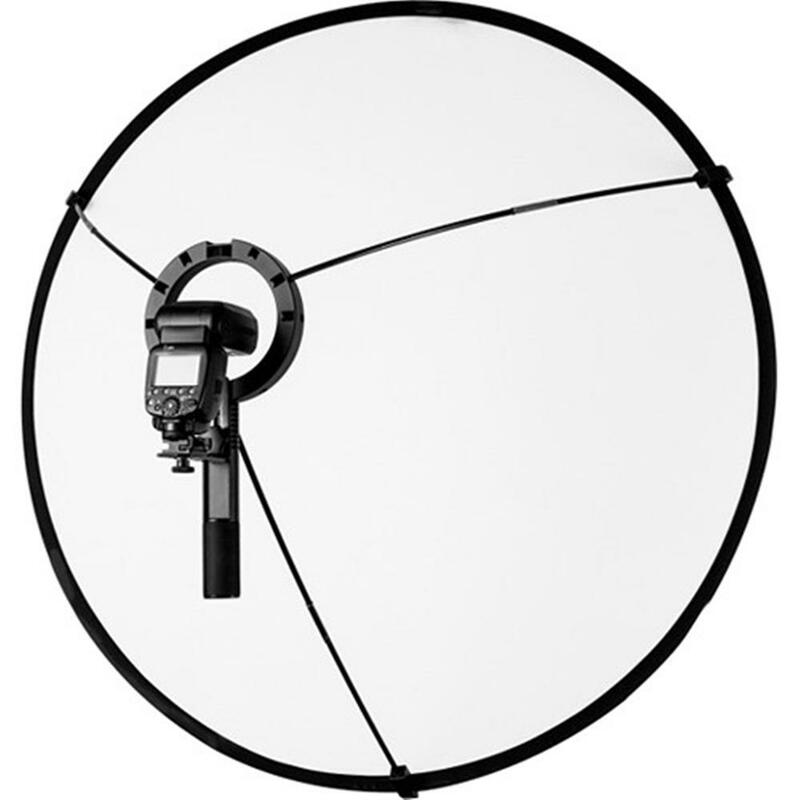 The LunaGrip can mount any diffusion disc sized from 20" to 42". This speedlite modifier creates a stunning, ultra-soft output and an ideal round catchlight in the eyes of your subject. 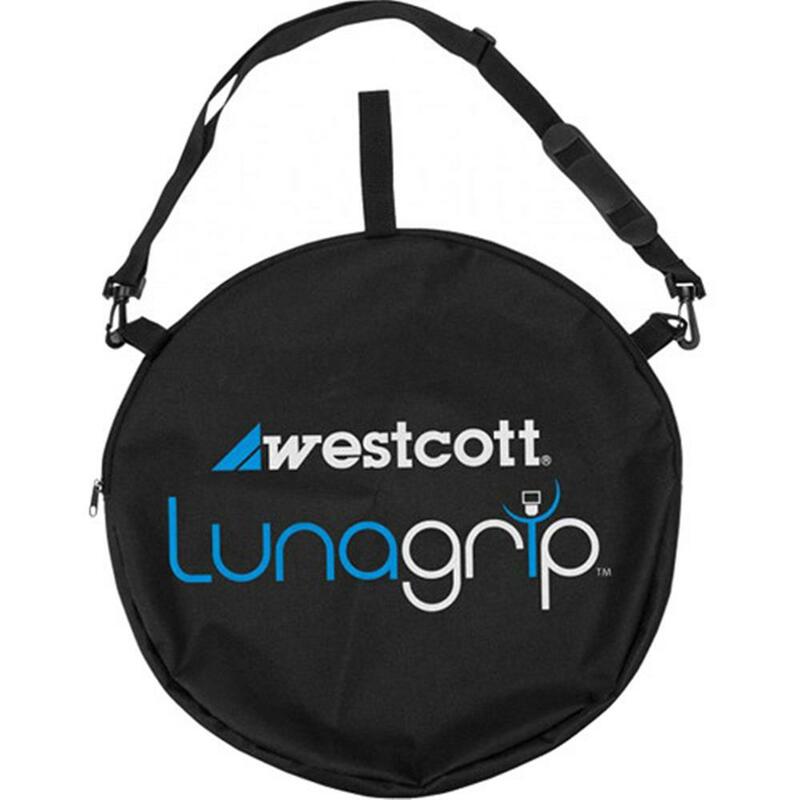 The LunaGrip can be purchased separately or in a complete kit with Westcott's 5-in-1 Reflector and 1-stop diffusion disc. The LunaGrip features an adjustable shoe mount bracket, easy-to-grip handle, and three collapsible grip arms. Its super-durable construction is surprisingly lightweight, allowing for effortless hand-held operation. The LunaGrip's unique handle acts as an easy-to-use mounting system for reflectors. The LunaGrip's built-in 1/4"-20 threads allow for mounting on light stands or tilter brackets. 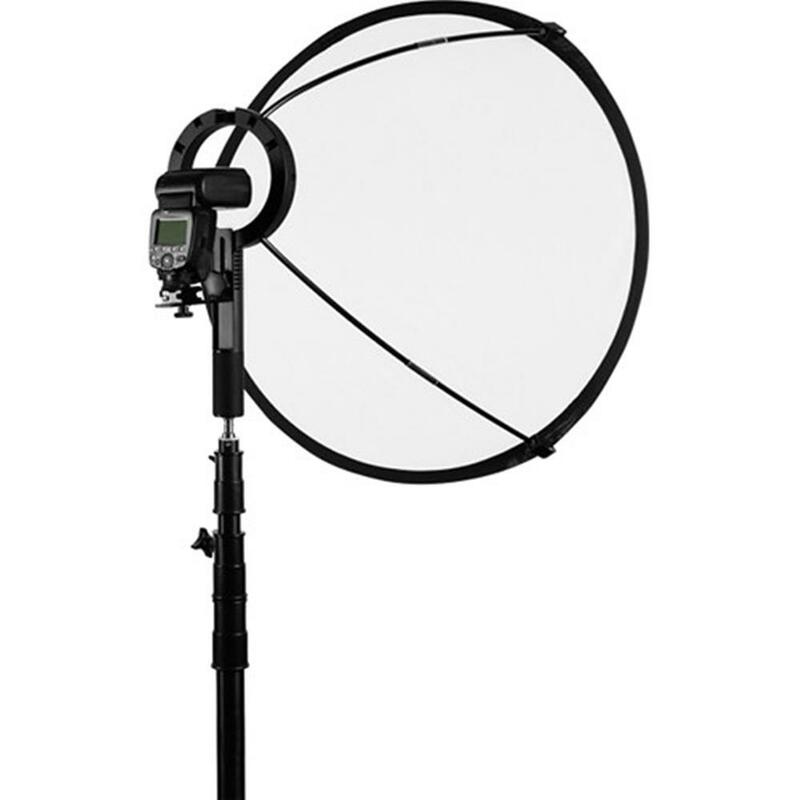 Westcott Basics 5-in-1 Reflector Kits are a must-have light control tool for photography enthusiasts. With a traditional round design, a 1-stop diffusion panel, and a removable 4-surface cover, this reflector kit is ready to take on whatever lighting you encounter.